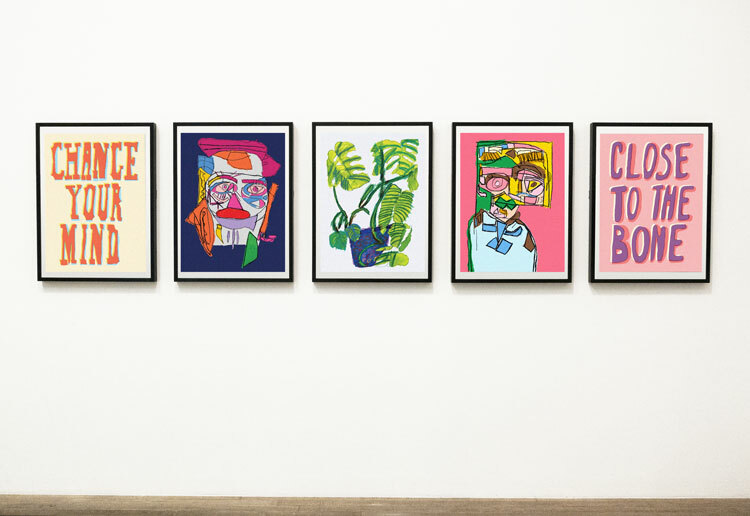 This is the first in a weekly series which will look at our most-read stories of the week and other goings on in the design world. 1. 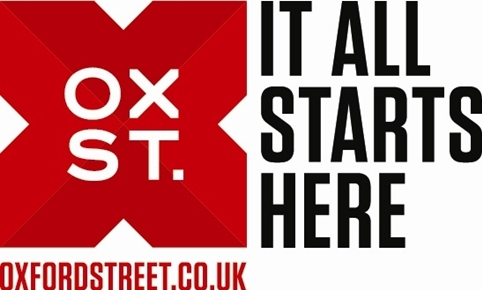 X marks the spot – Goosebumps has created this new identity for Oxford Street in central London. 2. 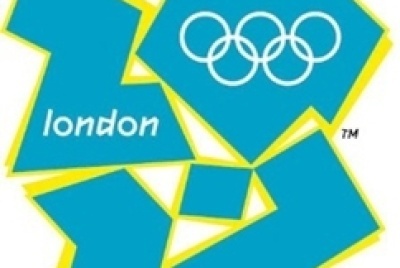 The Olympic logo one year on. Patrick Cox and Brian Boylan, who designed the London 2012 Olympic identity at Wolff Olins, will discuss the rationale behind the controversial identity. 3. Ad agency BETC developed this identity for production company Madam, with the logo pressed on to people’s skin. You had ONE job… pic.twitter.com/NZJwQDxCpa (via lots of people). Alan: ‘Yes’ to being the open-top bus-tour guide provided the word ‘Norwich’ is rendered in a font of my choosing. That’s a deal-breaker. Anything by @publicisomnicom (which now seems to have been removed). 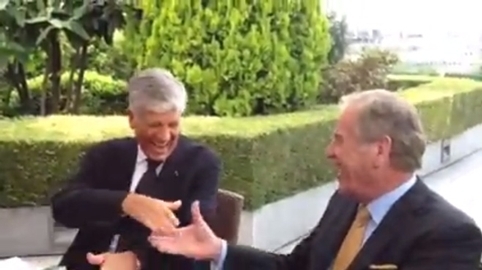 ‘This really did come as a surprise.’ The IPA were (like the rest of us) caught on the hop by the Omnicom/Publicis mega-merger. 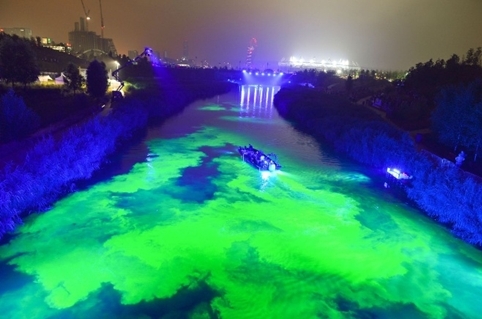 Bompas & Parr turned the River Lea green to mark the one-year anniversary of the London 2012 Olympics. (They assure us they used non-toxic dye). 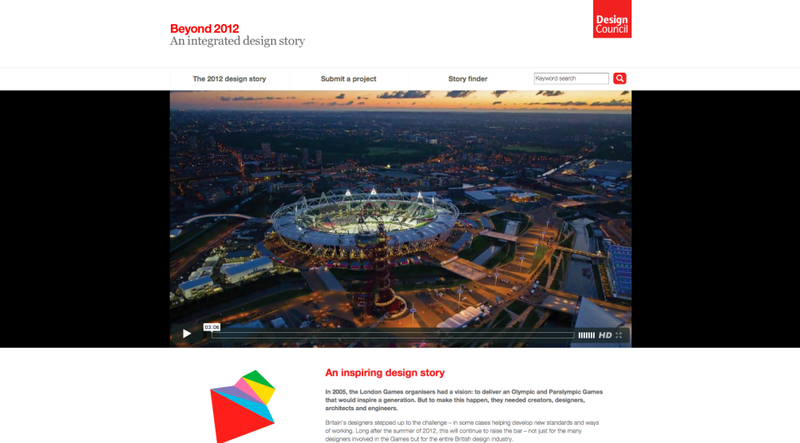 The Design Council’s Beyond 2012 website gathers together all the amazing design stories from the London 2012 website. Consultancies are able to promote their work after a marketing ban for non-sponsors was lifted at the start of the year. Sebastian Conran and Roger Burt, president of the Chartered Institute of Patent Attorneys, took to the letters page of The Times to debate plans to criminalise design copying in the UK. Writer and satirist Lucy Kellaway looks at designing office space as part of her History of Office Life series on BBC Radio 4. 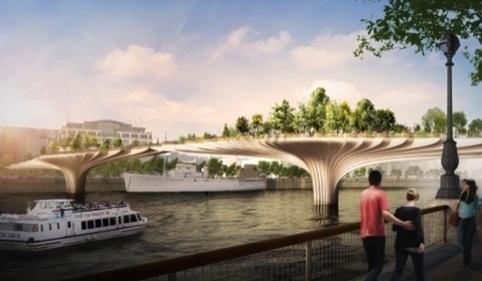 This week’s episode of the Culture Show on BBC Two is a Thomas Heatherwick special, looking at projects including the Olympic Cauldron, the Seed Cathedral, the Routemaster bus and his plans for a ‘living’ bridge over the River Thames. 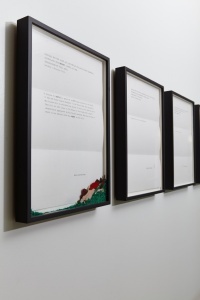 And the Guardian’s art critic Jonathan Jones critiques the Sun’s This is Our Britain wraparound cover. ‘It looks as if the picture editor sat down with scissors and glue to create this crazy collage’.